Landscape contractors count on Crysteel landscape bodies for the features and accessories they want and the durability and strength they need. All landscape bodies include Crysteel's industry-exclusive 5-year warranty and can be configured specific to the needs of the specific landscape contractor. 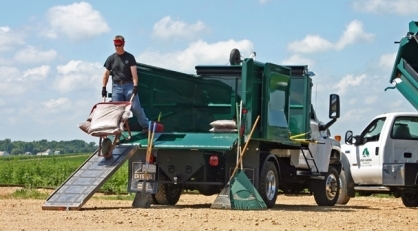 The Aluminum Landscape Body is ideal for landscape contractors and municipalities looking for strength, durability & lightweight efficiency. A LoBoy® subframe hoist adds power & reliability. 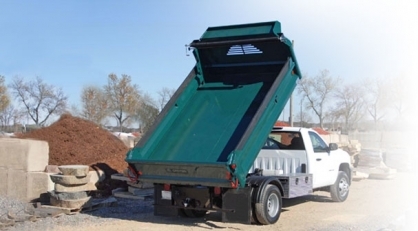 Dump to the rear for typical applications, and use the side-dumping feature for easy spreading of material in hard to reach places; doubling your work truck efficiency. 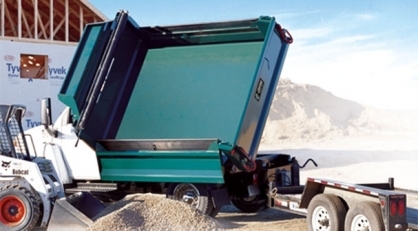 With great looks and durability with superior design, the evolutionary E-Tipper gives you all the most desired features in a dump body - strength, value and style. 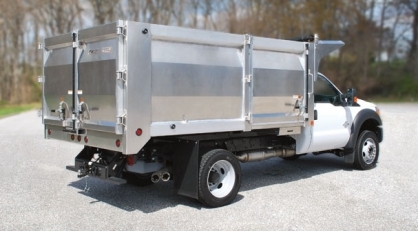 With a removable upper tailgate acting as a ramp, stow-away ladder and unibody design for easier clean-out, grow your business with this superior landscape body.